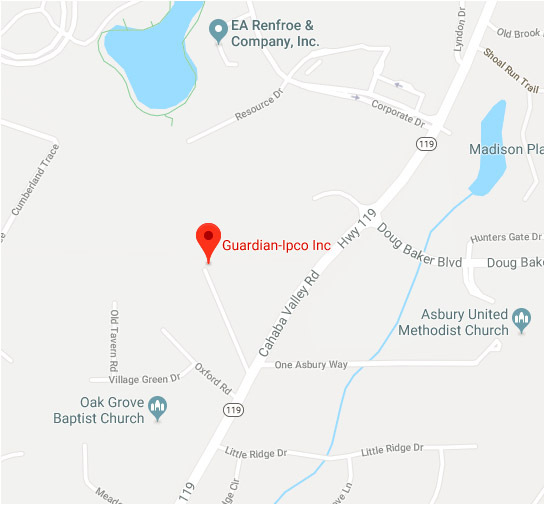 Guardian IPCO is pleased to announce it has been chosen as an Evapco Factory Authorized Water Systems Partner for areas of Alabama, Tennessee, Georgia and the Florida panhandle. Our field service personnel will be providing on-going support for the Evapco Smart Shield and Evapco Pulse Pure treatment programs. A global leader in heat transfer products, Evapco recognizes the importance of consistent condenser water treatment. The performance of these condenser water treatment systems is often dependent on the efforts of local water treatment professionals. Evapco’s Factory Mounted Feeder (FMF) has been engineered to deliver scale and corrosion inhibitior into the spray water of a closed circuit cooler or evaporative condenser. The FMF is factory mounted onto the riser piping where a side-stream flow of spray water is passed through the FMF and contacts the patented controlled release solid chemistry. The inhibitor is conveniently packaged in easy to handle 1 kilogram charges, utilizing ‘Bag in Bag’ technology eliminating end user contact with the chemistry. Each cartridge consistently releases scale and corrosion inhibitor over a 30-day period of wet operation. The FMF makes cooling water treatment simple. No longer do operators need to handle liquid chemicals, prime feed pumps, adjust timers, etc. 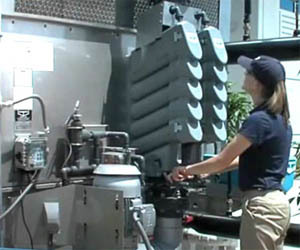 When the spray pump is operating…the system is being treated! The Pulse~Pure Water Treatment System is your best choice for non-chemical water treatment for your cooling tower or evaporative cooler. This patented system created by Evapco is available only through Authorized Evapco representatives. An environmentally responsible alternative for treating cooling water, Pulse~Pure utilizes pulsed-power technology to provide chemical-free water treatment with no harmful by-products. This cutting-edge technology enables you to rely on one trusted supplier for your evaporative cooling equipment and associated water treatment – Evapco!